Black and white image of several School children standing on a lawn outside of their school. 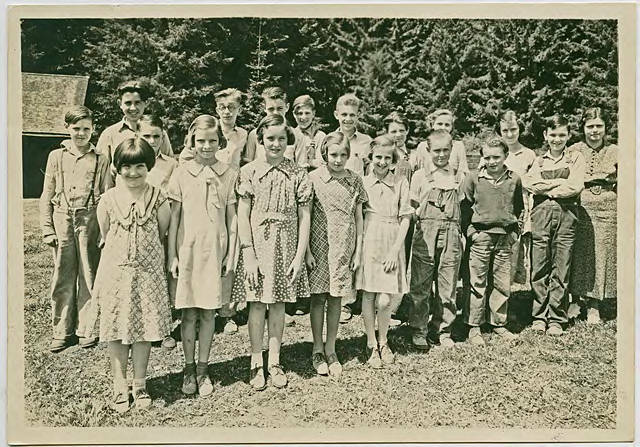 Their teacher, identified in museum records as Lelia Peters, stands at the far right of the image. This one-room walking school was located between Banks and Roy, Oregon. [back] [pencil] O. Rieben. Mrs. Ibach. B. Schegel. Rice. 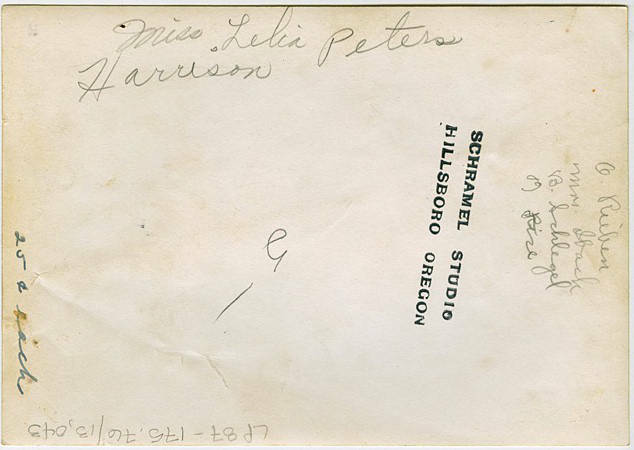 Miss Lelia Peters. Harrison. [pen] 25 [cents] each. [stamped] Schramel Studio, Hillsboro, Oregon.